Trixi was invited to attend the awarding ceremonies at the Bayleaf Hotel in Intramuros, Manila. Since it was quite far from our house and the boys will be coming late, we decided to stay for the night. I tried to book online, but all the booking sites said no rooms available. Fortunately, when I called the hotel, I was told that there were still some rooms for that night. Francis of Reservations was very helpful. Upon his suggestion, I availed of their privilege card which entitled me to a free overnight stay, buffet lunch or dinner, drinks, and discounts on room rates and food and beverage items. Check-in was a breeze. The girls at the front desk were very pleasant and welcoming. The lobby was small but elegantly decorated. I like that access to the guest floors was limited to those with key cards. Restaurant patrons are limited to the top and ground floors. We were given a Superior room with a view of the Intramuros golf course. The room was bigger than what I expected. The room was spacious enough and did not feel cramped. The beds were firm and the pillows were not lumpy. Air-conditioning was working well too. The bathroom was roomy and clean. Amenities, though, were pretty basic. Bathrobes and slippers were not provided – you had to pay for them. There was Wi-Fi, but only one device could be used. After the awarding ceremonies, Trixi and I had dinner at the Sky Deck. 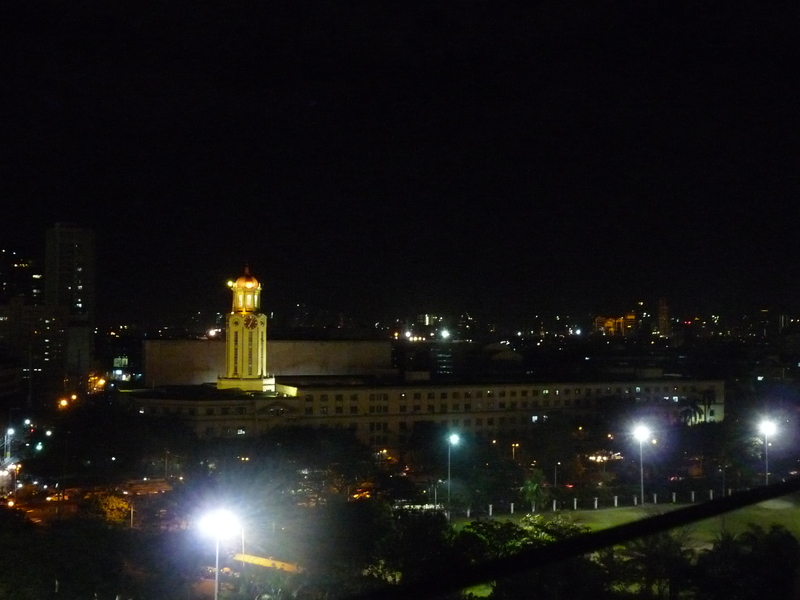 The Sky Deck offered a magnificent view of Manila. The stars were out and the night was cool. Too bad the food wasn’t great. The buffet had a very limited selection. The place is great, though, for enjoying a couple of drinks. The following day, we had breakfast at 9 Spoons. Just like the previous night, we were again disappointed with the food. The buffet spread was very limited. They asked us if we wanted coffee, but they did not deliver our order. 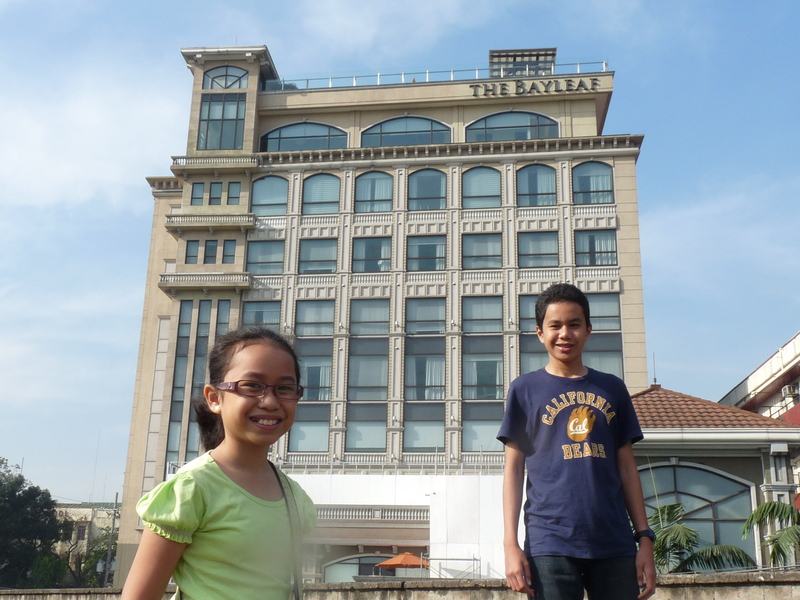 We enjoyed our stay in Bayleaf, mainly because of the hotel features and their staff. However, I hope they can improve on some things: (1) food quality, (2) no limitation on devices using Wi-Fi, (3) include bathrobes and slippers without extra charge. We would have wanted to explore Intramuros but we did not have time. I guess we have to go back some other time. If we do, we will make Bayleaf Hotel our base.But we’ll probably eat somewhere else. I am grateful for the staff of Bayleaf Hotel. 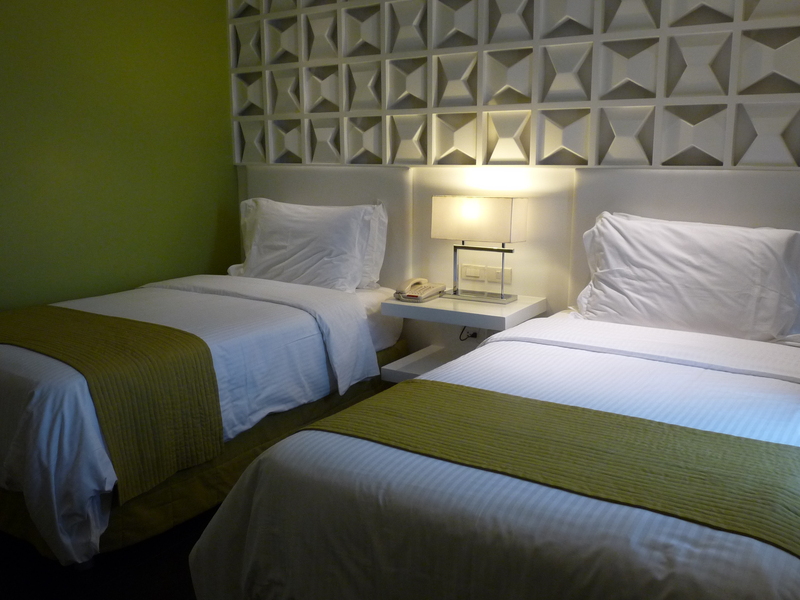 Everyone we encountered was very helpful, polite and accommodating.